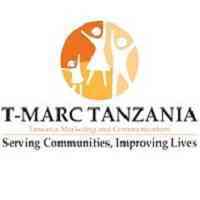 T-MARC Tanzania is a non-profit Tanzanian organization working to improve public health and promote social development. Our socially marketed products and behavior change communication initiatives address pertinent health issues in family planning and reproductive health, child survival, water and sanitation, nutrition and communicable/non-communicabie infections like malaria, HIV/AIDS and cervical cancer. T-MARC is currently implementing the USAID Tulonge Afya Project in partnership with Family Health International (FHI 360). USAID Tulonge Afya is a five-year project, funded by the United States Agency for International Development (USAID) that aims to catalyze opportunities for Tanzanians to improve their health status by transforming socio-cultural norms and supporting the adoption of healthier behaviors through the following intermediate results; (i) Improved ability of individuals to practice healthy behaviors; (ii) Strengthened community support for health behaviors and (iii) Improved systems for coordination and implementation of (SBCC) interventions. T-MARC invites qualified applicants for the following position below. Under the direct supervision of the Communication Director (FHI360), this position will ensure that the project develops and actually executes the approved communication strategies, campaigns and intervention in close cooperation with other project staff members, implementing partners, and stakeholders. The incumbent will adopt the use of evidence based & best practice SBCC approaches, to develop locally relevant and culturally appropriate SBCC campaigns, materials, tools and interventions that address the complex individual to societal behavioral change interplays that inhibit the uptake and adoption of health seeking behaviors for HIV/AIDS, RH/FP, Malaria, MCH and TB services and products. The position is secondment to FHI360 and it has dotted reporting line to Program Director (T-MARC). Master’s degree in health communications, Public health management, Social sciences, International development, or a related field and a minimum of 5 years’ experience of leadership and management of relevant projects. Experience in designing and implementing at least two health projects that include a strong behaviour change communication component. Experience in working with research teams for project’s research needs; and monitoring and evaluation of health projects. Deadline for submission is 3rd February, 2019. Only short-listed applicants will be contacted. T-MARC is proud to be an EEO/AA employer M/F/D/V.